The gut microbiome and gut health are big news these days. There’s been a surge of interest and awareness in this critical part of the body as people recognize the enormous influence the health of the gut has on our overall health. As I pointed out in this article, the oral microbiome is vitally important because of its connection to the gut microbiome. 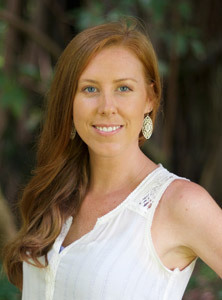 In this video interview with Amy Hollenkamp of The SIBO Diaries, I’ll explore more of this connection. We’ll go into more detail about how oral myofunctional issues such as mouth breathing, a low postured tongue, or incorrect swallowing habits can affect the gut microbiome. But I’ll also cover something else that’s quite amazing – the role the tongue and swallowing play in our stress response. One of the worst aspects of modern life is that feeling of always being stressed. Stress can be a very good thing in the right circumstances. When there’s a genuine need for the fight-or-flight response, it’s great that our bodies are able to respond appropriately. But we’re simply not designed to live in a chronic state of fight or flight. 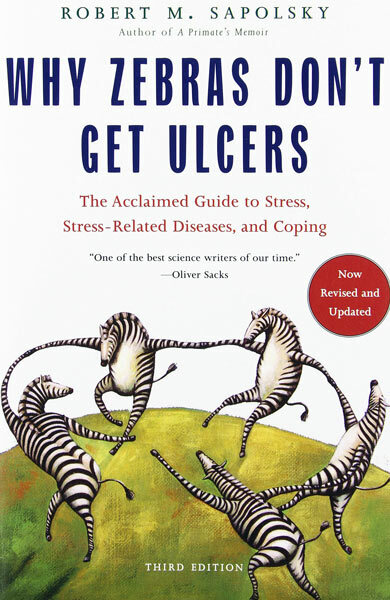 Robert Sapolsky covers this so well in his excellent book Why Zebra’s Don’t Get Ulcers. The fight or flight response is intended to kick in when we’re in danger. Picture a zebra grazing on an African savanna. It’s a tranquil scene, the herd is near a waterhole, and this particular zebra is feeling unthreatened and is under no stress at all. Suddenly, a lioness attacks! The zebra is forced to run for its life, quite literally because this is a life or death threat. At this point, its fight-or flight system is 100% turned on and the body is entirely focused on survival. If it escapes the lioness, the zebra will quickly return to a relaxed grazing pattern. She’ll happily enjoy the rest of the day as if nothing interesting had happened. So in an ideal world, the sympathetic nervous system should fire up and flood the body with the necessary chemicals and hormones to escape the threat. Then it should shut down when the threat is ended so we can return to a resting state. That’s exactly how us humans are meant to exist. We should react appropriately to stress, deal with it and then quickly get back to being relaxed. But in a modern world filled with all kinds of stressors, many of us are in a state of chronic stress with our fight or flight response turned on to a certain degree all the time. Between work stress, family stress, financial stress or just the crazy traffic in the daily commute, it’s hard to imagine actually being calm and unstressed. This state, along with other factors like bad diets and environmental pollution explains much of the chronic disease that affects modern society. But there’s another component to this stress equation. It’s one that we’ve only started to understand quite recently. The oral myofunctional issues that I see in my patients on a daily basis can also play a role in activating our stress response, and keeping it that way! I Call This The Tongue-Gut Connection. Mouth breathing (even at night), an incorrect tongue resting posture, or an improper swallowing pattern can all contribute to the vagus nerve not being correctly stimulated. The vagus nerve is something I’ll go into more detail on in a future video or blog post. In short, it’s part of the body’s nervous system, specifically the parasympathetic nervous system. The parasympathetic nervous system is what helps our body control what’s known as “rest-and-digest” activities. These are the activities that happen when the body is resting and unstressed, particularly after we eat and when we sleep. The sympathetic nervous system on the other hand stimulates the activities that are connected to the fight-or-flight response. When we breathe through the nose, have the tongue in the roof of the mouth, and swallow correctly, the vagus nerve is being stimulated. But when we don’t, it can lead to low vagus nerve stimulation. This can contribute to the factors that are keeping us stuck in fight-or-flight, or actually put us directly in that state. So thanks to the Tongue-Gut Connection, we end up living in a permanent state of stress. This in turn can affect our digestion because after all, digestion isn’t a priority when you’re running for your life. Again, running or fighting is what this whole stress response system is designed for. Oral myofunctional issues can actually contribute directly to digestive and gastrointestinal issues. Add in the vagus nerve component, and you’ve got a two-factor problem that can be hard to resolve without myofunctional therapy. This is even more true for people who are tongue-tied because they’re unable to get their tongue into the roof of their mouth or to have a functional swallowing pattern. This all ties in to my Four Goals of Myofunctional Therapy. In this video, Amy and I will go over the Tongue-Gut Connection in depth, and we’ll help you to put the pieces of this complex puzzle together. Part two of this interview will be out soon. Feel free to subscribe to my YouTube channel to be notified about when it goes live. There’s a typo in the 3rd paragraph of the “I call this the tongue-gut connection” section where you suggest breathing through the mouth where you meant nose.